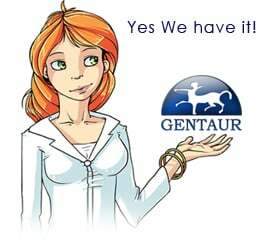 Gentaur antibody-antibodies.com The Marketplace for Antibodies : Ketone body metabolism and its defects. Ketone body metabolism and its defects. Acetoacetate (AcAc) and 3-hydroxybutyrate (3HB), the two main ketone bodies of humans, are important vectors of energy transport from the liver to extrahepatic tissues, especially during fasting, when glucose supply is low. Blood total ketone body (TKB) levels should be evaluated in the context of clinical history, such as fasting time and ketogenic stresses. Blood TKB should also be evaluated in parallel with blood glucose and free fatty acids (FFA). The FFA/TKB ratio is especially useful for evaluation of ketone body metabolism. Defects in ketogenesis include mitochondrial HMG-CoA synthase (mHS) deficiency and HMG-CoA lyase (HL) deficiency. mHS deficiency should be considered in non-ketotic hypoglycemia if a fatty acid beta-oxidation defect is suspected, but cannot be confirmed. Patients with HL deficiency can develop hypoglycemic crises and neurological symptoms even in adolescents and adults. Succinyl-CoA-3-oxoacid CoA transferase (SCOT) deficiency and beta-ketothiolase (T2) deficiency are two defects in ketolysis. Permanent ketosis is pathognomonic for SCOT deficiency. However, patients with "mild" SCOT mutations may have nonketotic periods. T2-deficient patients with "mild" mutations may have normal blood acylcarnitine profiles even in ketoacidotic crises. T2 deficient patients cannot be detected in a reliable manner by newborn screening using acylcarnitines. We review recent data on clinical presentation, metabolite profiles and the course of these diseases in adults, including in pregnancy. The potential contribution of impaired brain glucose metabolism to congenital Zika syndrome. Possible Clues for Brain Energy Translation via Endolysosomal Trafficking of APP-CTFs in Alzheimer's Disease. Nontoxic Targeting of Energy Metabolism in Preclinical VM-M3 Experimental Glioblastoma. Saliva of patients affected by salivary gland tumour: An NMR metabolomics analysis. Ketogenic diet for schizophrenia: Nutritional approach to antipsychotic treatment. Metabolic remodeling of substrate utilization during heart failure progression. Inborn Errors of Metabolism with Acidosis: Organic Acidemias and Defects of Pyruvate and Ketone Body Metabolism. The accumulation of assembly intermediates of the mitochondrial complex I matrix arm is reduced by limiting glucose uptake in a neuronal-like model of MELAS syndrome.